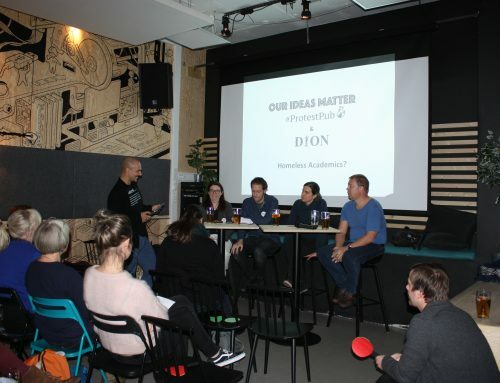 Second Protest Pub: What happens when we measure knowledge? Home/News/Second Protest Pub: What happens when we measure knowledge? Publication points, impact factor, excellence, social benefit: all these concepts are used to measure and weigh the knowledge produced and disseminated in and out of academia. They influence which institutes get a part of the financial cake, which researchers get to climb the career ladder, and which universities gets to shine on the academic sky. Several critics have asked if the way knowledge is measured in academia today is nothing more than a management tool for managers who long to see their researchers and universities at the top of the international rankings. 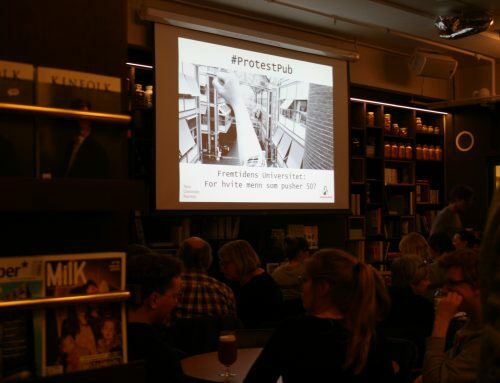 ProtestPub, this time held on Blæst on June 2nd wanted to dig deeper. The panel was here asked to respond to what it means to measure knowledge, how knowledge is measured today and the ways in which the measurement of knowledge affects the academic life – and the university’s future. 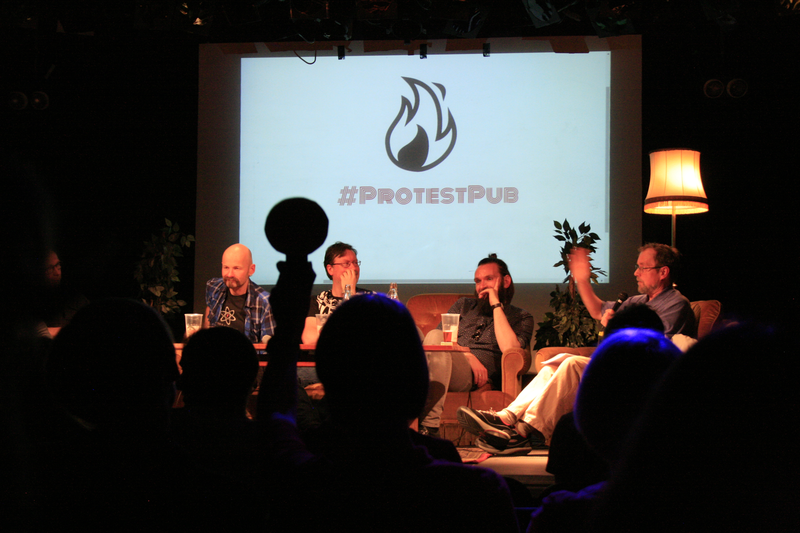 ProtestPub is a series of public meetings where the big questions surrounding the university’s future can be discussed. The idea came at the initiative of the group New University Norway: a movement that wants to take the discussions about the university’s function and social mission back to the grassroots. On the team are people from Sosiologisk Poliklinikk and other interested parties. Leif Kennair, Professor in Psychology and former head of the Department of Psychology initiated ProtestPub talking about the “Replication crisis” where a survey showed that over half of psychology studies did not get the same result when they were replicated. Part of the reason for this is that sensational studies are more frequently and more uncritically published than studies that are seen as “just another brick in the wall of science”, also called the Pink Floyd effect. In the competition to achieve publication points and impact factor (citations by other researchers), the everyday research is therefore neglected. Bjørn Myskja, former Vice Dean and Professor in Philosophy reflected back on when he started researching. The culture amongst Norwegian researchers was then to primarily publish for a small Norwegian academia. A positive effect of the measuring system is therefore that research is now disseminated internationally. This was partly challenged from the audience where the author of this piece pointed out that international journals only reach a narrow Western audience. 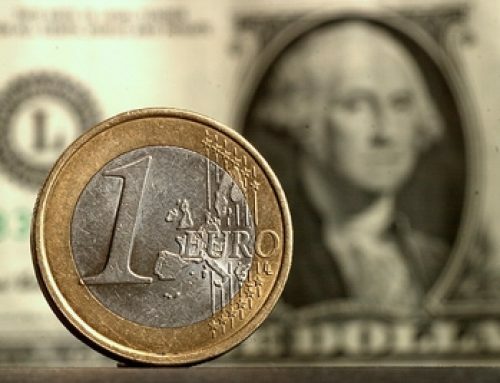 Most recognized international journals operate with huge profit margins which make it difficult for institutions and organizations to get access to this research. The most affected are universities in the South where many cannot afford large subscription fees and are thus excluded from the knowledge production process. What is the output measuring system? The Norwegian output measuring system is in its narrowest sense the scheme of quantitative measures of research, which was introduced for the higher education sector in 2006. The intention was to make research outputs measurable in publication points in order to allocate funds for research on the basis of scientific production, and to stimulate increased scientific publication. The system has been criticized for emphasizing research quantity over quality, for not taking into account how the different disciplines and traditions have different publishing patterns, that the system does not necessarily stimulate more and better research, that the system does not reward the dissemination of research in non-scientific channels, and that the system is being used uncritically to measure quality at the individual level ( Adapted from Store Norske Leksikon). Andreas Nybø, Publishing Editor on commissions and history in Fagbokforlaget informed us that it is harder and harder to get researchers to write Norwegian textbooks. Such textbooks do not count much in the current measuring system, and when asked about writing textbooks researchers tend to respond that they are busy with writing on international journal publications. Either that, or on applications for project money. Last fellow out (yes, last fellow, we will return to that), was Tor Guttorm Syversen Professor at the Institute of Structural Engineering. Syversen, who informed the crowd that he has a medical certificate from St. Olav stating he is allergic to bureaucracy, argued that the current system of measuring knowledge in academia is meaningless. It has resulted in the university acting as a factory with two production lines; one for credits, and one for publication points. What is suffering is good and critical research. The audience contributed with several good comments and questions. One comment was how the system also has gendered impacts. For example, one important factor emphasized when hiring new staff is the number of articles you have published in the past five years. Since women normally have longer parental leave than men they are disproportionally affected. The same goes for NTNU`s increasing focus on having researchers do fellowships abroad. This is difficult to combine with family life. It was also asked from the audience if there are any alternatives to today’s system. This led to a discussion where most of the panelists concluded that they were arguing for improving the existing system rather than completely replacing it, since few alternatives exist. In the end, moderator Morten Langfeldt Dahlback , Phd student at the Department of Philosophy and Religious Studies and a member of ProtestPub asked the question: When all is said and done , do you think it was worth it to introduce the output measuring system? The participants were only allowed to answer in one word. From the couch Myskja answered “Unfortunately yes,” Tjora answered “no “, Kennair and Nybø landed on “yes” while Syversen said “no”. The contributions from the panel created active involvement from the audience. 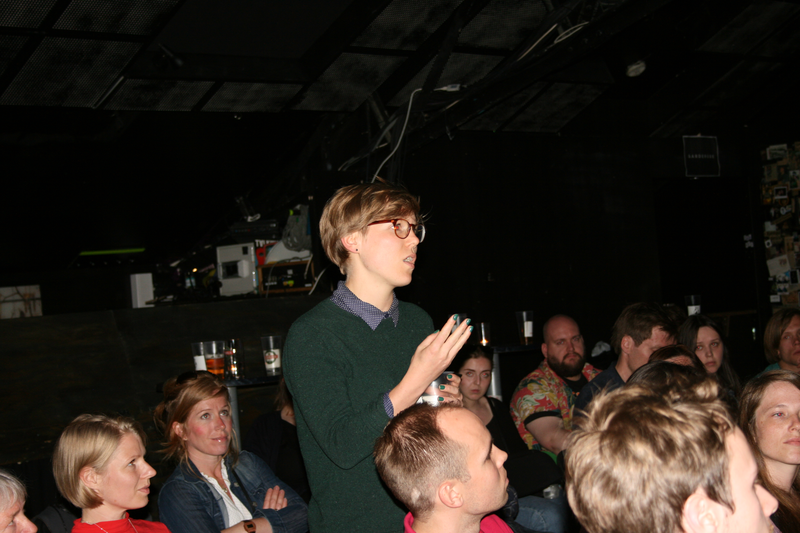 However, one of the most important contributions came perhaps before the debate when Ingvill Stuvøy and Siri Øyslebø Sørensen, PhD students at the Department of Sociology and Political Science and the Institute for Interdisciplinary Studies of Culture took the podium with an appeal. With support from colleagues sitting in the audience dressed in red they forcefully pointed out that the entire panel consisted of white men with the majority being established professors. They made a clear statement on how this is not acceptable, especially for a group working to facilitate discussions about the university’s future. ProtestPub (including us from New University Norway) agreed with this criticism, and did therefore not waste any of the debate time to explain how we had been working on trying to get to a more gender-balanced panel. We had asked five women if they could participate, but they all declined for various reasons. This is however not an excuse. Even though we thought it was difficult, we should have worked harder to secure better representation of people with different backgrounds and positions in academia. We could have chosen to make some cosmetic changes like for example using a female moderator, but we chose to run the panel as it was even though we were aware that it was problematic. 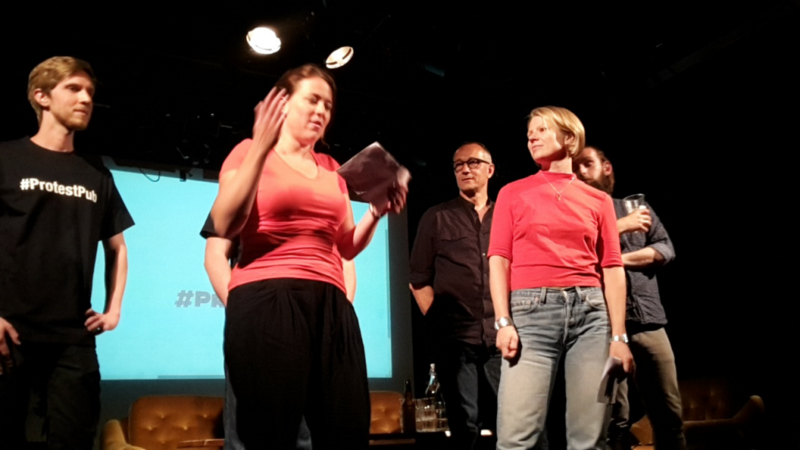 It was therefore very good that this issue was raised by the participants in the audience. 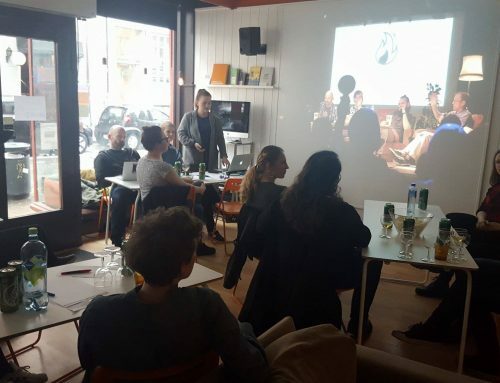 ProtestPub is a space where critical discussion should take place, and it is continuously developing. We therefore take the input from last week’s Pub with us and hope that as many as possible can be involved in creating thematic meetings, raise the debate, and develop ProtestPub as we move forward.